Home / Science and Technology / Travel and Living / 6 new features desparately needed on Google maps! Google maps is primary tool for all of us when on the road. It is extremely accurate, can predict traffic, ETA and advise shortest route, restaurants and fuel stations on the way and re-route us if we get lost. Without this app, we would have been forced to stop a 100 time and seek directions. There is no doubt Google maps is a blessing. But then, I feel there is some good scope for improvement. If some additional controls can be given, we can save lots of trouble and inconvenience. 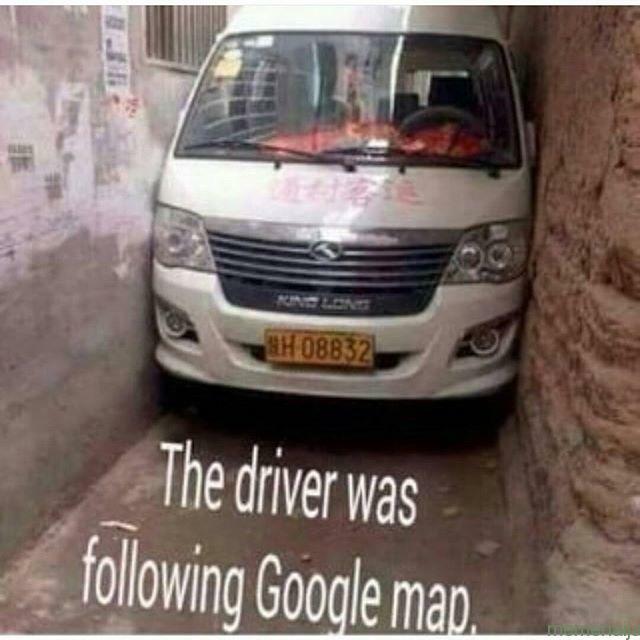 Above: a widely circulated photo claiming van got stuck following Google maps- sourced from internet, original photographer unknown. Below, another real news photo sourced from motoring.co.uk where truck gets stuck following SatNav. Apparently UK proposed a law change to overcome some of the drawbacks in GPS based navigation systems. Read here. 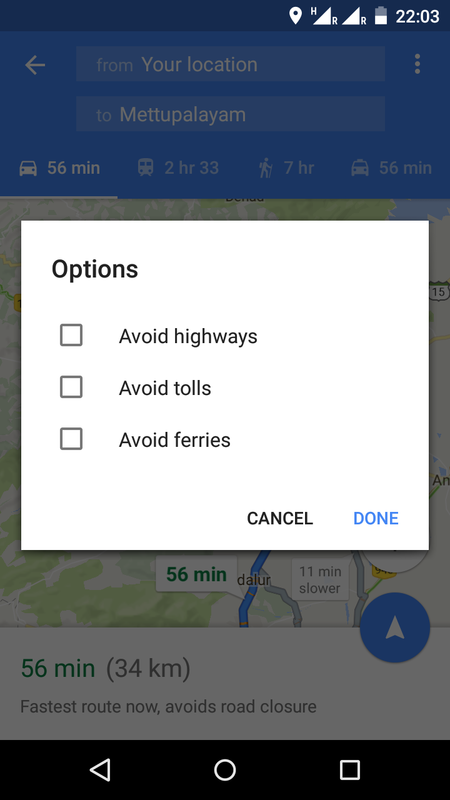 In this post, I am listing a set of features which Google should consider adding to its Map application. 2. 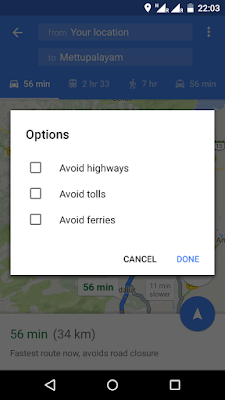 Turn off re-routing option: When we take a wrong turn, most of the time it is more convenient to take a U turn and head back, than go with the re-routing provided by Google maps. Because re-routing might be longer/on not so good roads. If an option can be given that says “Wrong turn, go back” instead of re-routing, then it will be great. 3. Road Review option- just like how movies, restaurants etc are reviewed, we need “Write a review” option for every road. A person who used the road should be able to leave comments such as “Road is good for SUVs only, don’t attempt in small car” or “Watch out for a deep pothole/unscientific speed breaker at 10th km, rest of the road is superb” or “Narrow but very scenic route”, "heavily tolled, not worth it-try alternate roads". Other users can refer to these recent comments and figure out if they wish to take the road or try an alternative route. After each of my road trips I will be more than happy to share my findings about the road taken and other users can benefit from these reviews. 4. Type of vehicle: If you are in a bus, wide road will be your primary priority. If you are on a bike, you can navigate narrow roads without trouble. 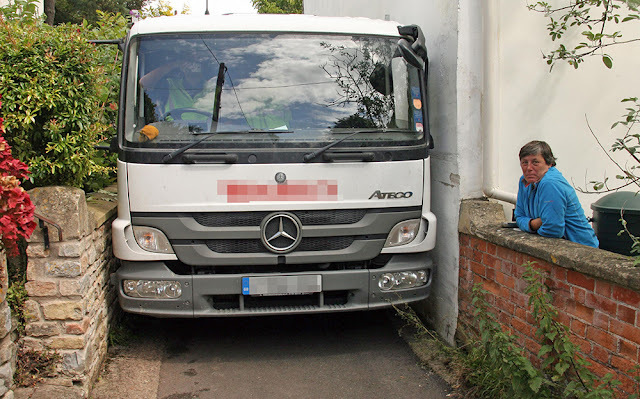 But Google Maps doesn’t factor width of the vehicle. Particularly while suggesting short cuts, google should either prompt advising narrow road short cuts or should have option to avoid them altogether as previously mentioned. 5. Predict where we will be stuck 1 hour from now. Since google maps knows our ETA, traffic congestion ahead etc, if it can provide an indication as to where we will be stuck in traffic say 1 hour from now, we can use that to may be order some food or buy stuff from flipkart. We can place an order on Swiggy while stuck at Marathahalli and get the order delivered at Silk board junction 1 hour later! Think about this possibility- Instead of having an army of delivery boys shuttling all over Bengaluru to deliver goods purchased by customers, Flipkart can open a delivery centre near major traffic hot spots in the city- such as Silk Board, Tin Factory etc. Orders can be handed over to customers while they are stuck in traffic on their way to work or on their return. Saves lots of effort for both shopping site and customers. 6. Identify friends stuck nearby: In a large traffic jam, it could be possible that your lost brother or long lost friend is also in the same traffic jam, couple of cars ahead or behind. If google can give such indications, may be you can use make quality use of traffic jam time, hug your friend, may be go for a coffee at nearest CCD and come back to resume your journey. I know this option already exists where you can chose to make your location public so that friends can spot you, but keeping this option ON all the time could be a privacy concern, so an option to reveal my location only when I am stuck in traffic will be more useful. What do you think? What other features can be added to google maps? Very good points, but some the things are practically distant vision as of now. Once in Mercera routed map to Abbi falls all the way we reached back side of the abbey falls, no where we could reach only we could hear the sound of the falls. It was 2 years back, still it seems is not rectified by Google, even today you give search from your location to Abbi Falls still it is wrong place to drive. The correct location you need to give "abbey falls tourist vehicle parking space".Being tourist place in Mercara it gives false route. From that day on wards even it shows the route i minimise the route and try to verify by looking at then plan accordingly. Google maps will take a while to mature in a country like India .More often than not there is basic common sense lacking in drivers who depend so heavily on maps in reference to your stuck vehicles photo.Surely when you see the road narrow so much that your vehicles is struggling to even pass by one should have the common sense to stop and re assess rather than continuing thinking its a video game. Identify friends stuck nearby is not a good option -drivers world over have a very dangerous habit of talking on the phone while driving which has led to many deadly accidents ,this feature will only encourage behaviour not conducive for safe driving.Even once the jam gets cleared people would continue to talk on the phones leading to accidents.If people have all the time in the world then they should get off the roads and finish talking on their phones. Half the traffic jams and bottle necks happen since people are driving too slow ,they are busy on their phones ,sms's their friends ,jumping signals after it turns red. Yes, no question that we should use commonsense. Most of the time, we encounter a problem after crossing say 75% of the way- now temptation is very high to take a risk and press on, than going back all the way. Thanks for the detailed comment as usual.